Orders are usually shipped 1-5 business days from order placement. We strive to make our customer happy. If you need your order rushed, just let us know so that we can accommodate to the best of our ability. Orders that require custom milling will require an additional 5 business days (i.e. shiplap, pregrooved and t&g). We understand that frequently customers have specific requirements for jobs and we are happy to assist you. Sometimes we will take an order if we know we have inventory coming in and it may take a little longer. If you have specific time requirements, be sure to tell us because we want you to get the wood you need in a timely manner. Another option we use–we can often reduce shipping times by paying an additional fee to a different carrier. Usually, this is because carriers have different lanes they specialize in so we can find a freight carrier with a shorter shipping time. We can also set up guaranteed delivery dates (for a fee paid to freight carrier) with the shipping company if sent to a business address. The bottom line is–we want for you to be happy. The way to accomplish this is to be clear with us about your time requirements and we can work to ensure that it is delivered within the time frame specified. Your success is our success, so just let us know. Unloading Shipment: Business or LTL shipments that go to a dock, will require the ability to unload the lumber and accessories with a bobcat or forklift. For all residential deliveries, the LTL company is only responsible to place the material at the tail end of the LTL trailer/truck for removal. The wood owner (you) is responsible to hand unload it from that position. If you are unable to do this or for larger orders we recommend you upgrade and get lift gate service. Any additional fees coming from shipping are the responsibility of the wood owner (you). Ipe is an extremely dense wood, making it very heavy. The best and least expensive way to ship ipe is by LTL carrier to a loading dock or LTL terminal. However, if that loading dock is not the final destination and you do not have a way to transport it after it reaches that loading dock it can be extremely difficult to move again to your final destination. If the shipping is more than what was quoted in your order we will contact you. If any additional shipping charges arise (from requests you the customer makes to the shipping company) you will be liable for those charges. In the event of damage, get a written acknowledgment from the shipping company at the time you receive the shipment. The wood becomes your property when purchased, we load your purchased wood and give it to the shipping company. If there is damage you must file a claim with the shipping company. If there is unseen damage, you usually have 10 days to file a claim for “concealed” damage. Every shipment comes and defaults to, the carrier’s Limited Liability Insurance. This is determined by each of the different carriers. This may not cover the entire cost of your wood if damaged. Additional shipping insurance is offered by carriers for a fee. Contact us when placing your order if you wish to purchase this additional insurance. Delivery Refusals: If you (the customer or your agents) refuse delivery for any reason other than something agreed on in writing, you (the customer) will be liable for all shipping, delivery, re-delivery and/or even any return shipping fees. It can not be emphasized enough that all deliveries are curbside unless stated otherwise and even if stated otherwise at the sole discretion of shipping company. This means that it will not be delivered inside, down private driveways or otherwise. Only to drive the delivery truck to the main road and allow you to unload at the curb. Drivers may not help and have no obligation to place freight outside of the truck. It is “curbside” delivery. Not all roads are suitable for large trucks. If the truck cannot go all the way to the delivery location it will be delivered to the nearest location suitable for the truck to deliver. At this time we do not offer inside delivery. Shipping charge: We always attempt to get you the lowest price on shipping. We have no control over shipping costs. If a shipping carrier increases shipping costs or if misquoted by more than 5% from what you were charged, we reserve the right to obtain payment for the difference. In the event of a misquote we will contact you prior to completing the order. Inventory: We reserve the right to cancel any order for any reason, including but not limited to an error in shipping charges, error in the product price and out-of-stock. Deposits: Deposits on future orders are non-refundable. Note: Premium Grade Hardwoods are sanded but may require light sanding. If this is the case we recommend using 60 grit sandpaper. Wormholes are allowed on 1 face only as long as it is 3% or less, Sapwood is not permitted in anywhere in the center of the board. Milling defects will be accepted in 1 face as long as it does not change the structure of the board. I.E. Width and Thickness. Lowest Price Guarantees: We strive to be the lowest price by shopping competitors and putting our product up for equal or less. If in the unlikely event we can not match or beat a price, we will send a gift card for stumping us. Limit one per person and/or business and at the sole discretion of Ipe Woods USA. Only valid on equal products and shipping. Must provide competitor quote prior to purchase, giving us the opportunity to match or beat said quote. To receive a gift card email [email protected] with 1) Your name 2) Address for gift card and 3) The officially written purchase receipt that we did not beat with a copy of the delivery receipt/BOL/Proof of Delivery for the competing company. 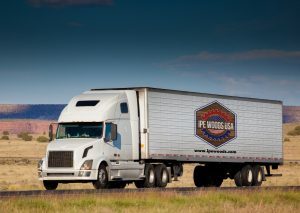 Shipping Guarantees: Ipe Woods USA does not and can not guarantee any delivery times. We use the best information we have at the time of processing to determine delivery. However, we are not the shipping companies and cannot and will not be held liable for delays for any reason including milling problems, weather, seasonal delays or any other reason for a delay. Any exception to this policy needs to be in writing and signed by an authorized agent of Ipe Woods USA. No text, email or verbal agreement nullifies this. We always do the best we can to ensure customer satisfaction to the best of our ability. If you need guaranteed delivery, get it in writing and signed by an authorized agent of Ipe Woods USA. As an industry standard lumber has different nominal & net dimensions https://ipewoods.com/ipe-wood-sizes/ . Note that material is not cut to length and could be longer so you can square the ends to exact length on site. Your order is very important to us! Ipe is a very dense and costly wood to ship and mill. We may have had to alter the lumber for your special order. Due to the nature of our business, we are unable to guarantee any returns or exchanges. In a rare or extenuating circumstance that we would make the exception to this rule (at our sole discretion) the guidelines below would apply. This rare or extenuating circumstance would be for defective or damaged items and require prior approval prior to return. Any agreement made needs to be in writing and signed by us. You must get it in writing! Verbal agreements will not be accepted. Nor should any verbal agreements be made. If accepted, we reserve the right to issue a refund for the cost you paid for the boards rather than replace any boards for any reason (shipping will not be refunded). In the extremely rare event, a customer receives non-grooved boards when the ordered grooved. We will provide the proper router bits to groove the boards on site and issue a refund for the amount paid for grooving. This amount shall not exceed $0.40 per linear foot. We can not take unauthorized returns. You are important to us, we thrive on repeat business. Ipe Woods USA, LLC may, at its sole discretion, make an exception and allow a return. You will need to obtain an authorization number from us for this return. Any return shall be at the Buyer’s sole risk and expense to include freight to and from the supplier and a restocking fee of 20-25%, dependent upon the product. Restocking is included in these terms even if the items have not yet been shipped. This is because we may have altered boards or broken bundles that devalue the product or cause us more logistical issues. Services that are done at the customer’s discretion including any milling, moving lumber, even in warehouses to reach other lumber, any packaging, and/or crating is non-refundable. We do not accept unauthorized returns. To be eligible for a return (if applicable), your lumber must be unused or not altered (NOT CUT, DRILLED OR MODIFIED IN ANY WAY). To complete your return, we require an invoice or proof of purchase. While extremely rare, if you believe that the lumber you received for any reason does not meet our premium grading guidelines you may submit a quality claim form we will review your submission and send you a response of acceptance, denial, proposed resolution or inquiry for more information within 7 days of receiving it. Quality claims must be submitted within 5 days of receiving the lumber. The address for return may differ from the address lumber was sent from. It also differs from our office address. You will need to get the correct return address prior to shipping any returns. This will be included in the return acceptance letter we send you. All products remain your property until we accept it in writing directly to you. Acceptance of a shipment is not an acceptance of ownership or responsibility for storage. If you ship us lumber, we will accept or decline the refund in writing. If it is rejected then it is your responsibility to ship and/or remove the lumber (from our or our affiliate property). We accept no responsibility to store your lumber in any specific condition. Lumber left on our property or affiliate property will be considered abandoned after 30 days from being rejected in writing. The address for return may differ from the address lumber was sent from. It also differs from our office address. You will need to get the correct return address prior to shipping any exchanges. We only will replace items if they are defective. Lumber varies in color, grain, and other conditions naturally. That does not make it defective. We try to sell only the highest quality Ipe wood and/or specifically note defective or low-quality lumber prior to shipping. If you need to exchange it for the same item, send us an email at [email protected] prior to shipping it back. We can help to determine the location to send exchanges back to, so please contact us. As soon as your order is processed, we quickly (sometimes automatically or within minutes) have already ordered products from vendors and incurred irreversible fees. Therefore we can not guarantee acceptance of any cancellation. If any cancellation is accepted, restocking and other fees may apply. Any exception to our no-cancellation policy must be in writing and signed by an authorized agent of Ipe Woods USA. The address for return may differ from the address lumber was sent from. It also differs from our office address. You will need to get the correct return address prior to shipping. Shipping costs to and from the return and/or exchange location are non-refundable. Contact us so that we can set up a discounted rate for your return or exchange shipping. Shipping charges arising from returns, exchanges, and cancellations are the responsibility of the customer. Shipping times vary based on the location we send it from an LTL carrier. We don’t guarantee that we will receive your returned item. So buy insurance and tracking when returning an item. Salespersons or employees working for or on behalf of Ipe Woods USA are not authorized to warranty any products sold. Any agreement made by Ipe Woods USA needs to be written and signed by an authorized agent of Ipe Woods USA. The laws regarding all sales set forth in this contract will be governed by the State of Utah. If a dispute arises out of or relates to this agreement or the breach thereof, and if the dispute cannot be settled through negotiation, the parties agree first to try in good faith to settle the dispute by mediation administered by the American Arbitration Association under its Commercial Mediation Procedures before resorting to arbitration, litigation, or some other dispute resolution procedure. To obtain authorization(s) from an authorized agent please email [email protected] requesting an authorized agent. Salespersons, affiliates or employees working for or on behalf of Ipe Woods USA are not “Authorized Agents”. Within 1 week of your email requesting an authorized agent, you will receive an email confirming who will be assigned an authorized agent for your order. Currently, we require a minimum order of $2,000. All orders received under this are subject to a fee up to $300. We sometimes will make an exception to let customers complete projects. Please note there is a fee to do this based on what the order is. Also, please note that if we make an exception to this minimum order, we do not plant trees as per our 5-trees-planted program for every order. There are a lot of different types of machines we use for milling. Because of this, there can be variations in actual thickness and width due to how the machines interact with the wood. If your project requires an exact dimension please contact us otherwise parties agree to up to 9% difference between projected and actual. If there is a change to this agreement please be sure to get it in writing. We always want to make sure our customers are taken care of. We offer a same day service guarantee. This means the same business day (within 8 business hours). If we break this guarantee we will send you a gift card. Limit one per customer. Just another way to show our commitment to you, the customer. WARNING: Drilling, sawing, sanding or machining wood products can expose you to wood dust, a substance known to the State of California to cause cancer. Avoid inhaling wood dust or use a dust mask and/ or other safeguards for personal protection. For more information go to www.P65Warnings.ca.gov/wood. Ipe Woods USA reserves the right to change these terms and conditions without notice. Ipe Woods USA is not affiliated with every brand listed on our site. Sometimes brands are just listed due to interest in our industry. Other times we do informative informational comparisons for the customer’s benefit of accessories for Ipe. Specifically but not limited to, we are not an authorized dealer or affiliated with DeckWise® Ipe Oil®, Ipe Clip® or Advantage Lumber.